According to Ambassadors for Kids Club, 1 out of every 4 students is bullied- and 85% of these situations never see intervention. Bullying is a real problem. We all either have been touched by bullying or know someone who has. 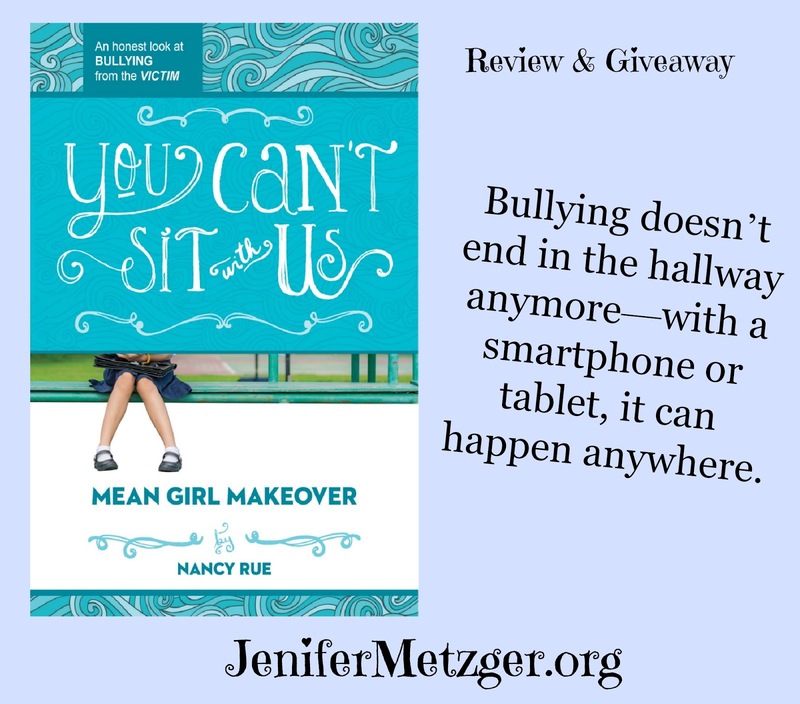 Author, Nancy Rue, has an incredible trilogy called the Mean Girl Makeover which deals with all 3 sides of bullying; the bully, the victim and the witness. Book 1, So Not Okay is the story of Tori. Now, book 2, You Can't Sit With Us, is the story of Ginger who is the victim of many harmful and threatening taunts of Kylie. With all the rumors online, will Ginger ever be able to show her face at school again? If you have a tween or teen girl, you need to get You Can't Sit With Us. It's time to teach our children the truth about bullying and stand up for what's right. To enter to win a copy of You Can't Sit With Us, complete each task in the rafflecopter below.